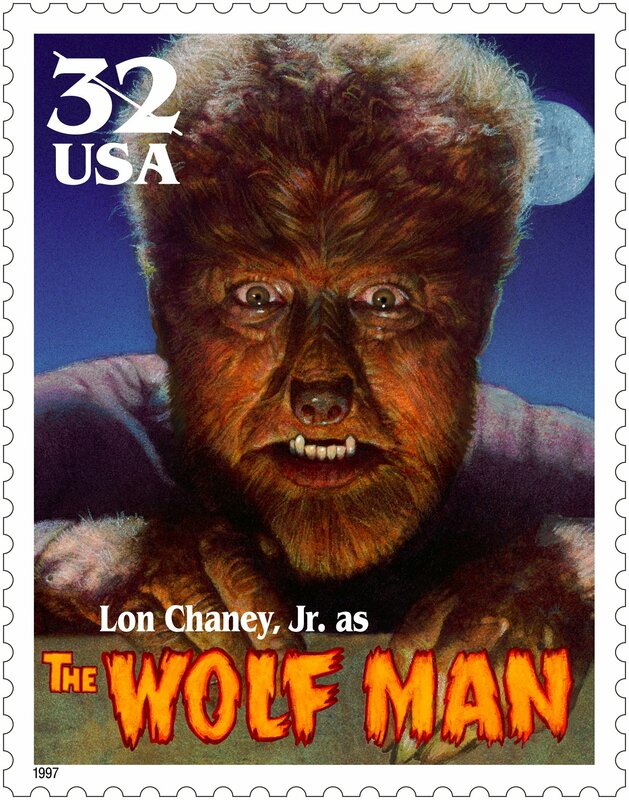 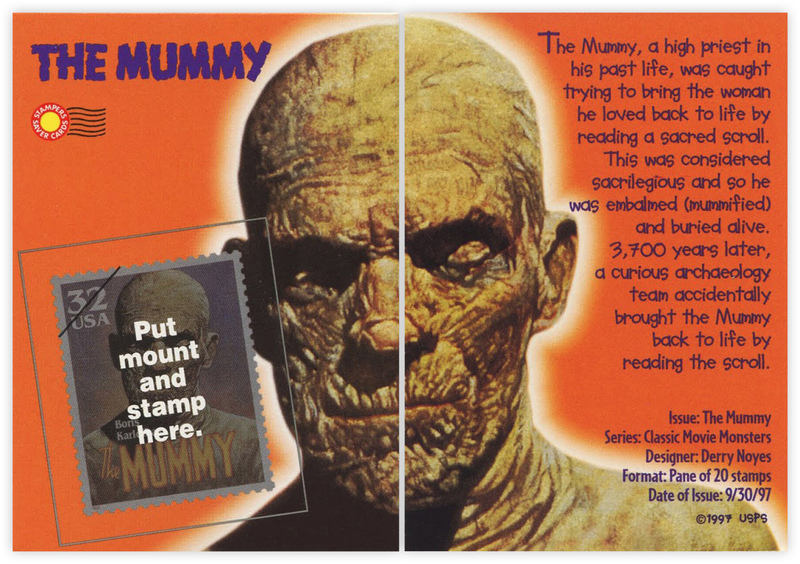 Classic Movie Monster stamps (1997) | 'TAIN'T THE MEAT… IT'S THE HUMANITY! 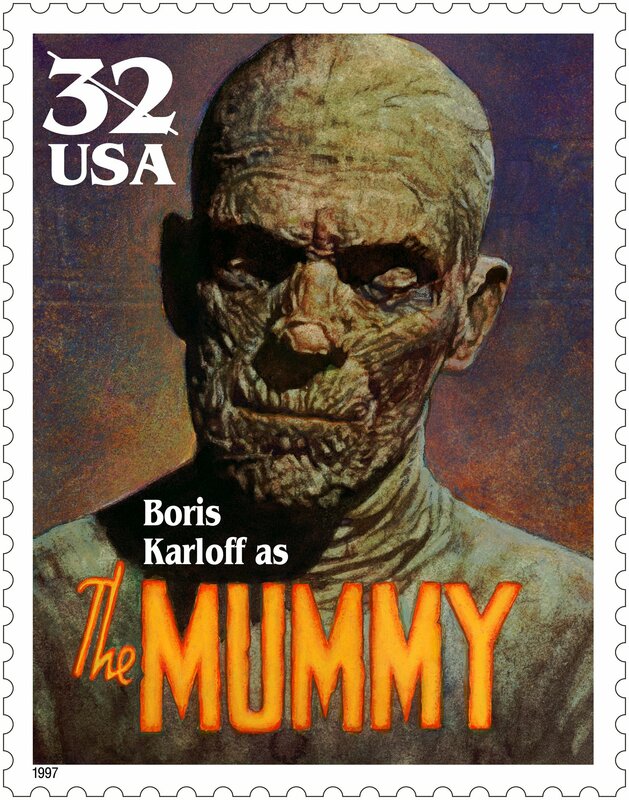 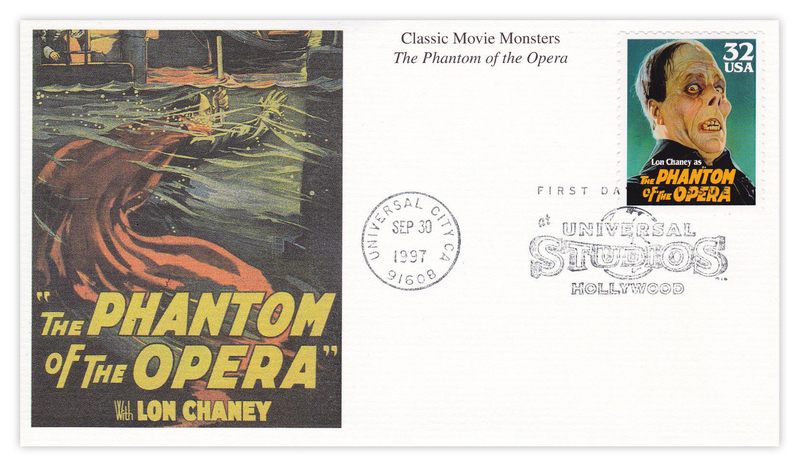 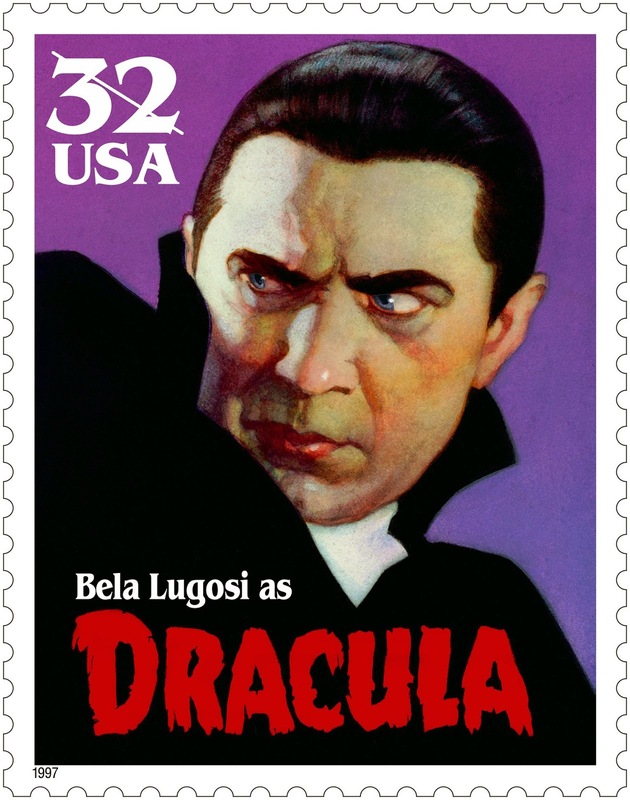 I’m a big fan of Universal Studios monster films from the 1930s and 1940s, so you can imagine my delight when I came across these wonderful stamps celebrating some of their most iconic movie monsters. 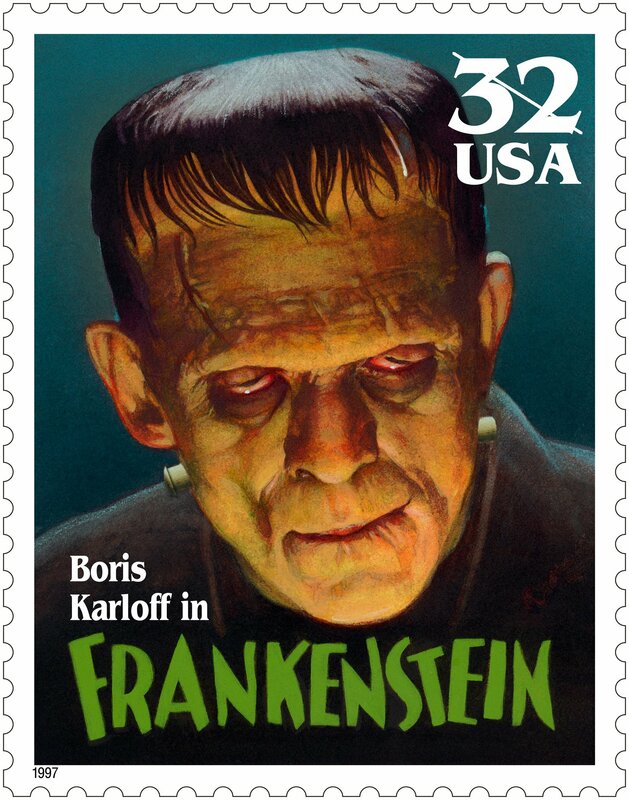 Universal Studios cinematic interpretations of Frankenstein (1931), Dracula (1931), The Wolf Man (1941), The Phantom of the Opera (1925) and The Mummy (1932) have become icons of 20th Century cinema, while the actors who portrayed them — Boris Karloff (Frankenstein and The Mummy), Bela Lugosi (Dracula), Lon Chaney (The Phantom of the Opera) and his son Lon Chaney, Jr (The Wolf Man) — have become bona-fide movie legends. 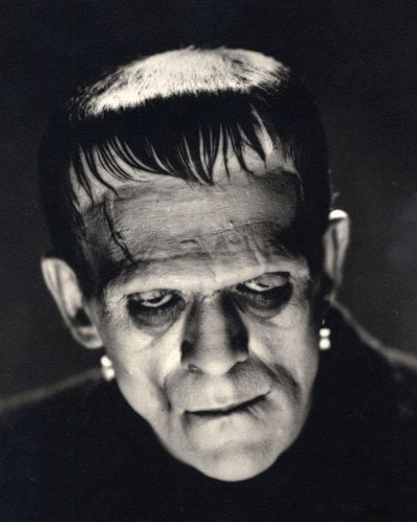 A promotional image from Frankenstein (1931) on which Blackshear based his painting. 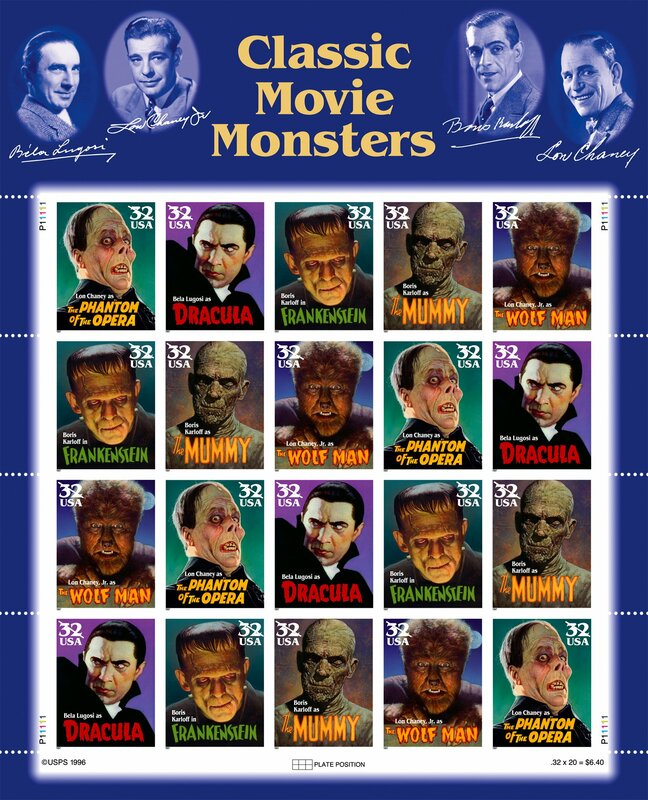 Classic Movie Monsters was released by the US Postal Service (USPS) 20 years ago this month (September 1997), and featured paintings of five classic Universal Monsters by artist Thomas Blackshear. 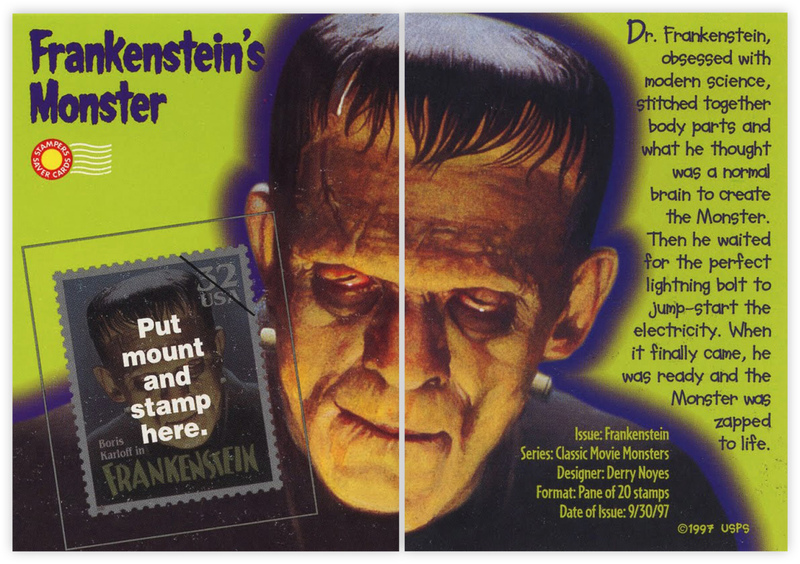 Blackshear worked from original promotional images and his paintings are just beautiful. 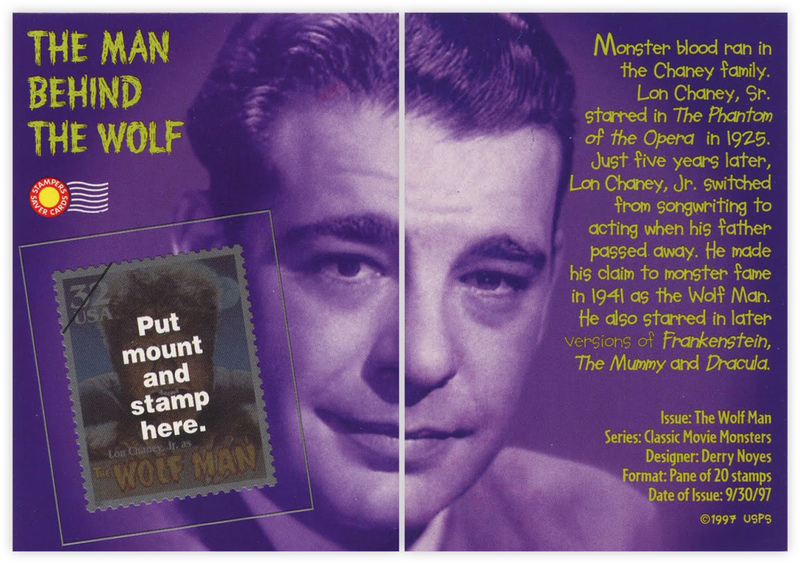 Not only are they wonderfully detailed and atmospheric (he really breathed new life into those old black and white photos) but they also feel delightfully reminiscent of the painted covers to Famous Monsters of Filmland, Forrest J. Ackermans’ hugely influential magazine published between 1958 and 1993. 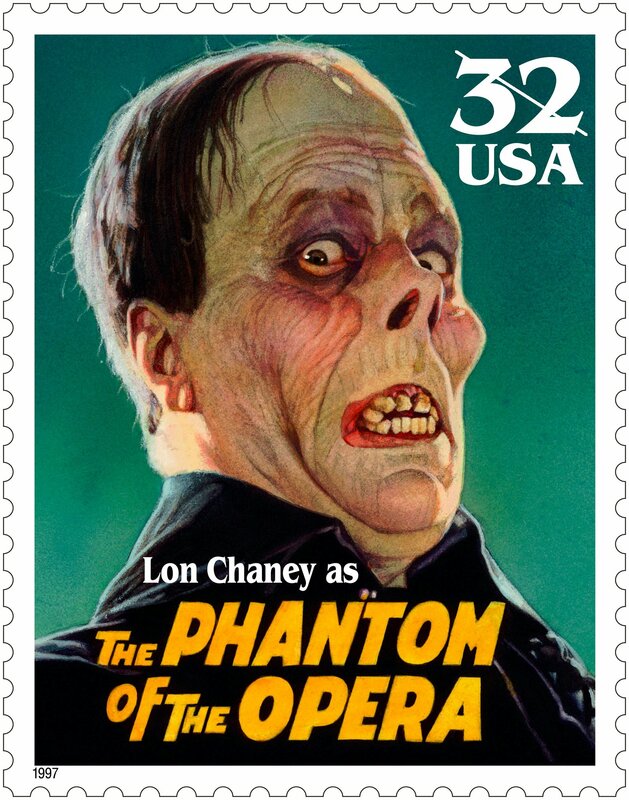 Over the years Blackshear has contributed other artwork for USPS but for me none of them top these wonderful monster stamps. 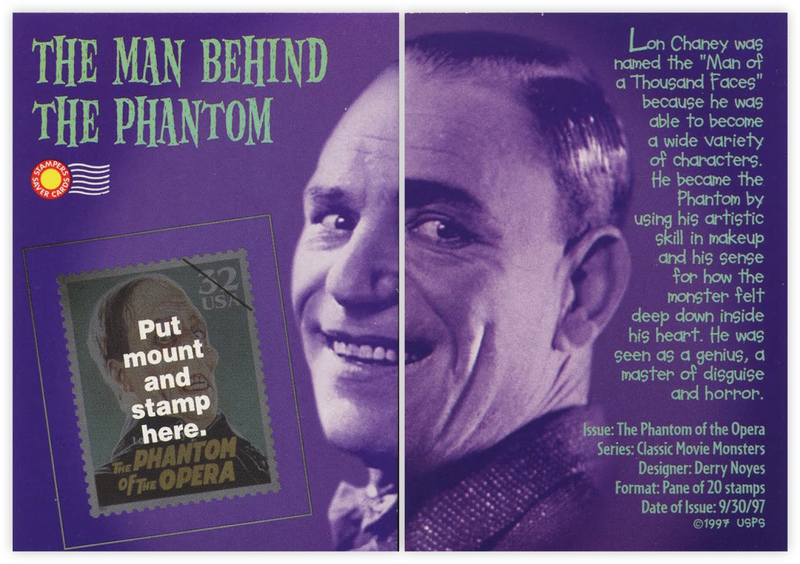 The Phantom of the Opera first day cover. 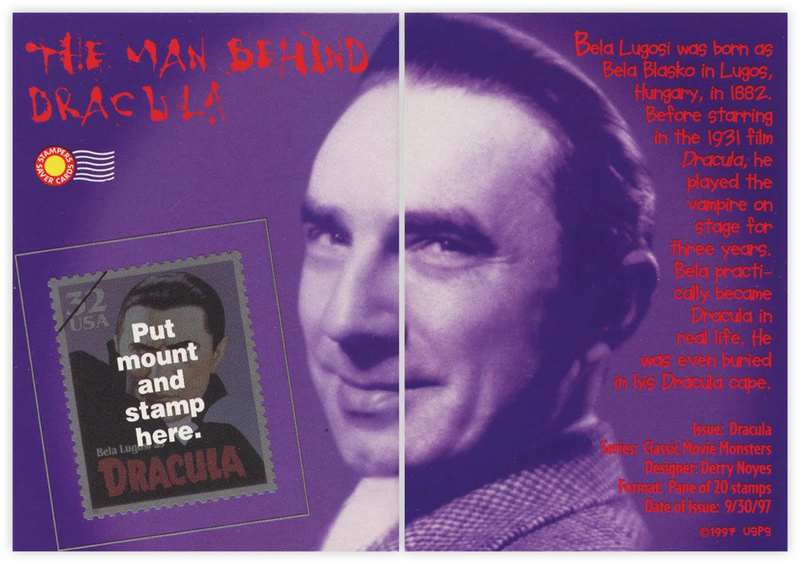 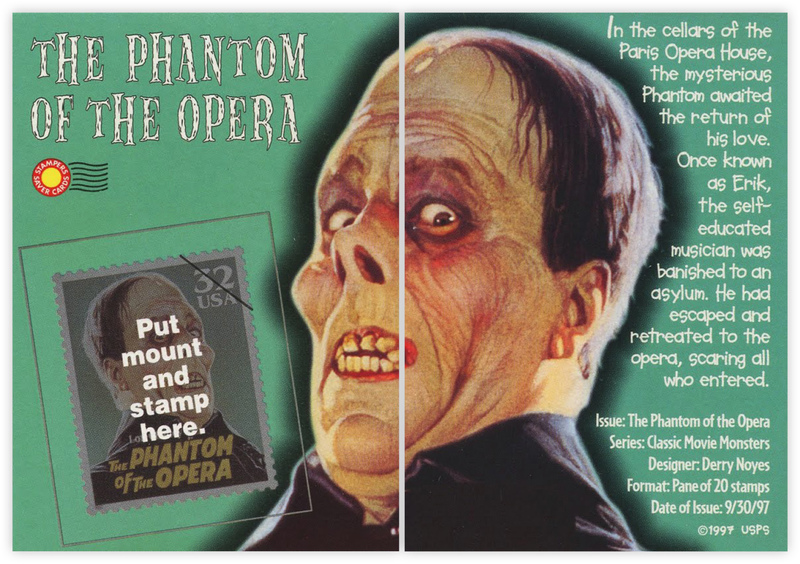 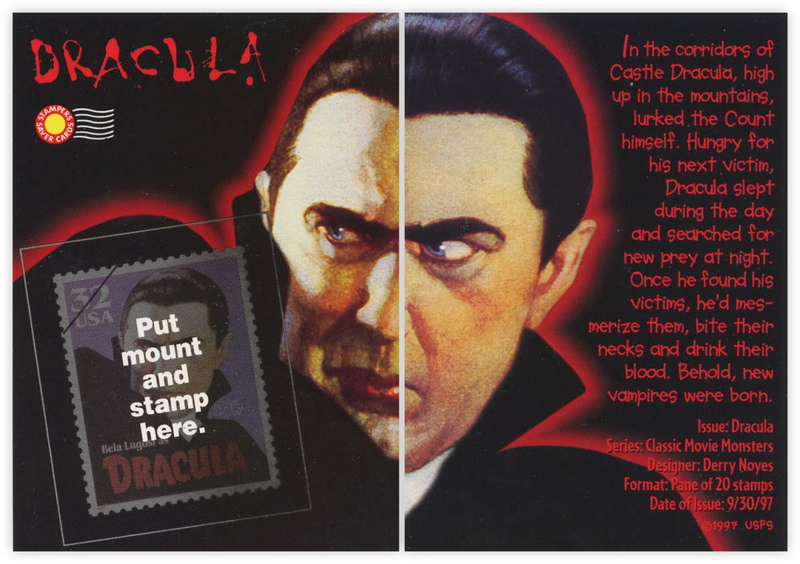 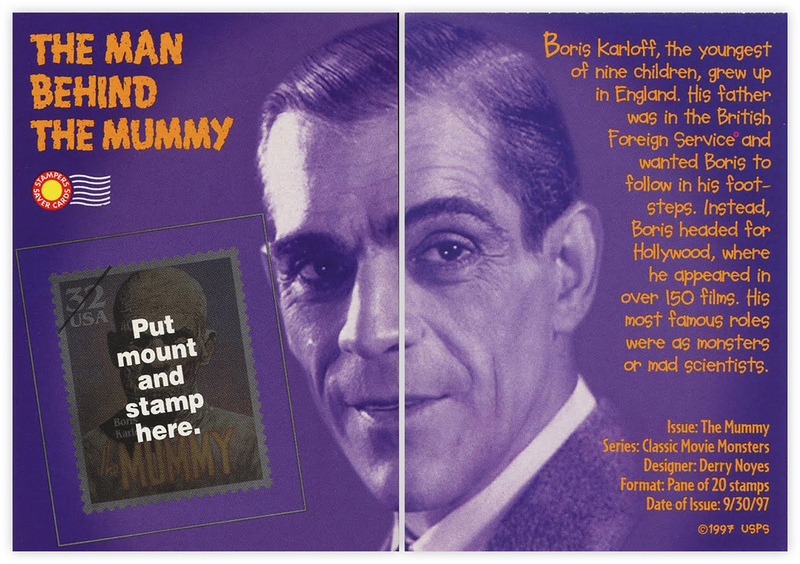 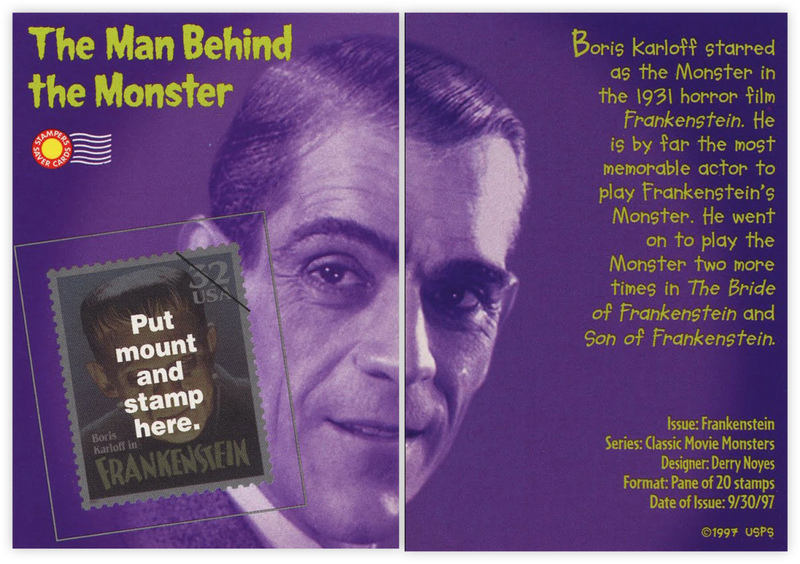 Also released were a set of ‘Stamper Saver Cards’, which featured two cards per stamp: one featuring a short character study of the monster, while the other had a short biography of the actor who portrayed it. 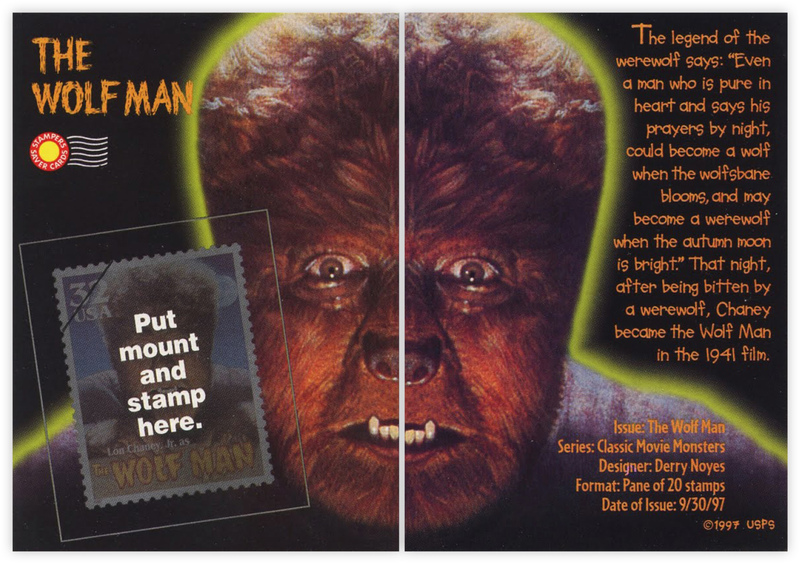 Each Stamper card came with a space where the stamp could be attached and each pair of cards was cleverly designed so they could be mixed and matched and the image of the monster and star would still fit together. 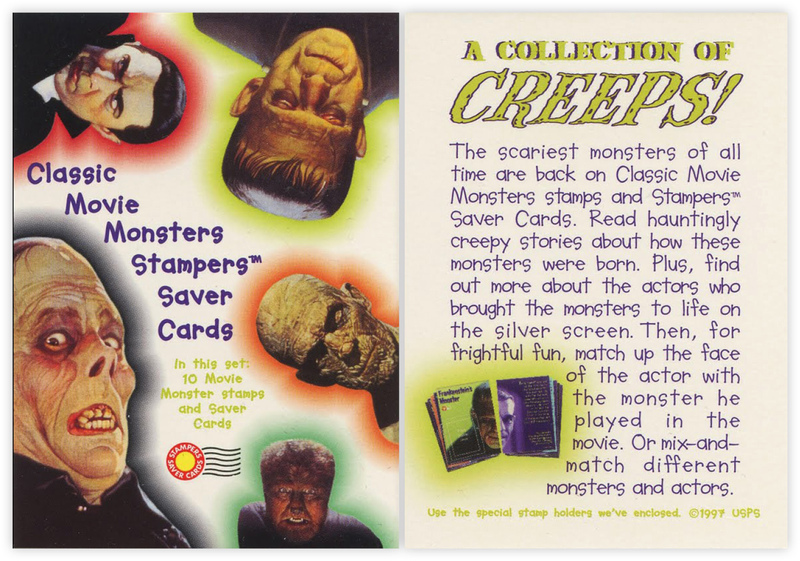 Stampers were clearly aimed at kids but I’ve no doubt older collectors took to them too.